There are a lot of ways to figure ROI on investment properties, but most of them make it way more complicated than it needs to be. Here is a simple method I use that helps me measure one investment against another and compare apples to apples rather than apples to oranges. 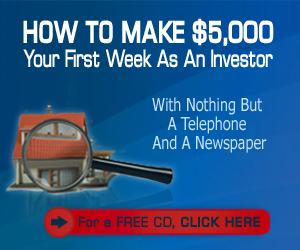 If you understand this method, it will make communicating with investors (who you hope will buy your properties), much easier. I’m going to explain how to figure the costs and returns on investment for cash flow properties. 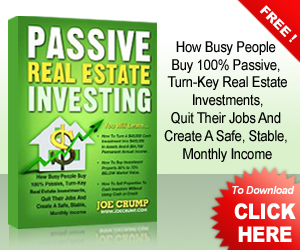 Joe: Investment in real estate almost always compares favorably over those types of investments. I think the reason most people buy mutual funds and stocks is because that’s how the people who sell those things make money. 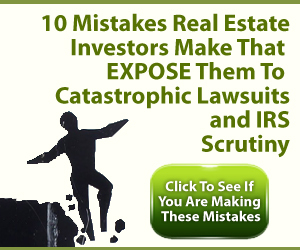 They won’t make money when they sell you investment property. They make money when they sell you stocks. 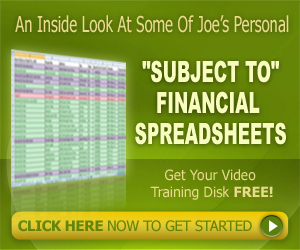 Joe: Stocks are the accepted way to buy property and to put your money. But I don’t believe that you have control over stocks. I don’t believe that you have any control over what happens in the boardrooms of these big corporations or whether they’re doing things legitimately, and if they are, whether or not they’re going to do the right thing or if they’re going to make money on it. Joe: There’s no way you can know those things. And even the experts who look at these businesses and decide whether or not their values are there and even with all the stock analysis that they do, they’re still not going to have any control over that particular investment. 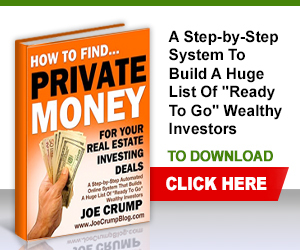 Joe: But with real estate, you can buy a piece of real estate, look at the market where that real estate is and determine whether or not you’re going to be able to have income and if it’s going to be sustainable over the long term. Joe: That’s determined by rental values. Rental values can drop and you can still get a decent return on your properties if you’re doing it this way. You can also get professional management who can handle these things for you, and you can take them out of the transaction any time you want, so if you feel that they’re not doing a good job, you can pull them out and give somebody else the job to do it for you or you can take over and do it yourself, which is not something I would want to do. Joe: There are lots of good property managers out there and if you find somebody with a license, then their ethics are accountable to the board of realtors and they’ have to follow through with doing it a certain way. So, if you do get a property manager, make sure you find somebody who’s licensed or who’s working directly under you on a day to day basis. Joe: Anyway, how do you figure the return on investment for a property that you’re buying long term? And I think the easiest way to do return on investment is to, first, set aside the value of the property or the amount that you have into it. For example, let’s say you bought it and you fixed it up: add up the money you paid to buy it and the money you paid to turn on the utilities and to fix it up to get it habitable (and hopefully you have somebody to do all this work for you – don’t do work on properties yourself). 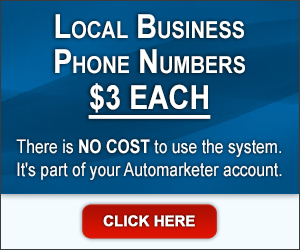 Get the total cost. Joe: Then, you put a tenant in there and find out how much that tenant is going to give you annually, so if they pay you $1,000 a month, that’s $12,000 of annual income on that property, at least theoretically. Eventually, there will be vacancies, and there will be repairs in addition to the things you’ve already done, so there will be reductions in this amount, but let’s get to that in a second. Joe: So, you have $12,000 a month coming in. Now you have to subtract your property taxes from that $12,000 a month. Let’s say your property tax on this property is $2,000. That means you have $10,000 now. And, you have a property manager handling the property for you and they will cost you 10% of your rent, so there will be $1,200 in expenses there. Joe: Then, you’re going to have insurance on that, too, which we’ll say will cost you $400 a year. So, you have landlord insurance on the property in case it burns down or some other problem or liability. Subtract that as well. Joe: So, you’re subtracting taxes, insurance, property management, and then you’re also going to add some repairs in there. But instead of adding repairs in there, I’ll take them and subtract them from the income and then I’ll take that sum – let’s say its $8,000 that’s left – and I’ll divide $8,000 by the amount that I paid for it. If I paid $32,000 for that property, and I divide that $32,000 into the 8, I have a 25% return on my investment. Joe: You have to figure in the other costs like vacancies and other repairs; things like that. Out of that 25%, you’re probably going to have between 1% and 4% extra costs. If you figure it by taking it out of the income that you get, you’re probably going to get between 70% and 100% of the actual income. It probably averages on my properties to about 90% of the income, not including the taxes and insurance and property management – 90% of the income actually comes to us that we expect to come to us, and so we base the return on that. Joe: That’s the easiest way for me as an investor to look at this. 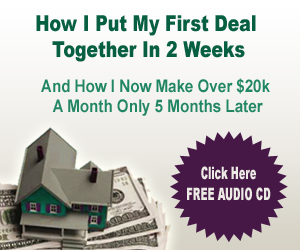 There is also going to be additional income that I’m going to get on these properties. I’ll get depreciation (which I talked about earlier) which is going to save me real money on my taxes. I’m going to get appreciation on the property. The values are going to go up over a period of years, so hopefully that will become a reality again. Joe: Also, when I buy these properties, I’m going to buy some equity into them. So, if I buy 20% to 40% of equity into those properties and If I paid $32,000 for it, and if it’s the real market value and just two years ago it was $48,000, that means I got an instant 20-30% of equity right away out of that deal, and I can figure that into my return. Joe: I like to go back and look at the prices that people were paying for them just two or three years ago. If you look at those numbers, they’ll give you a pretty good idea of where it’s going to come back to over the next four to five years. At least that’s my theory. Joe: So, that’s how to figure the return on investment for cash flow properties if you’re doing cash deals. And if you’re interested in buying these kinds of properties where you can get 15-18% return on investment and you want to buy some of the ones that I have for sale, and you don’t have more than $50,000 to invest, I can help you. 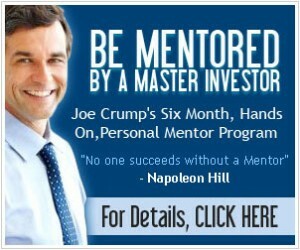 Joe: I can help you buy multiple properties as well. I have people that come and buy four to ten properties from me all at one time, and basically we end up creating a whole retirement program for them. But they have the cash to invest. You’re going to need at least $25,000 on the cheaper end stuff that we have and up to $100,000 if you’re buying multiple properties. I hope that helps. I am interested in buying 2 home from you on land lease. Please tell me more about how that process would take place. and can I see pictures of these properties. I don’t sell investment properties on a lease. Most of my turn key properties are sold for cash to investors. 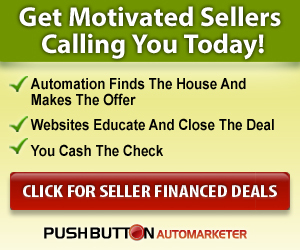 But I sell lease options to end users – those sell pretty fast as we get them. 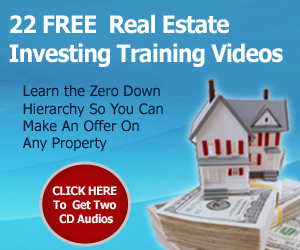 If you’d like to buy properties on terms, I suggest that you don’t buy them as an investor on a Lease Option – but instead use the other zero down techniques I teach on this blog and in my books.